He made his debut in Russia in 1917. In 1927 he was a member of the Russian Opera in Paris created by Maria Kusnetsova. In 1928 he appeared at Grand Opera as Damitri in ‘’Boris Godunov’’. 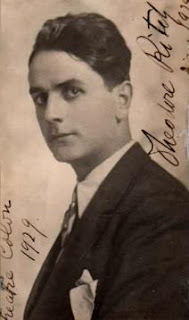 In 1929 he made his debut at the Buenos Aires Teatro Colon and then went to London to perform at Lyceum Theater in ‘’Sadko’’. In Chicago in 1929-30 he sang Leopold in ‘’La Juive’’ with Rosa Raisa, Charles Marshall, and Alexander Kipnis. He also sang the King of the Fools in ‘’Louise’’ with Mary Garden, Rene Maison, Maria Claessens, and Vanni Marcoux. The following season (1930–31) he sang Ramon in ‘’La Navarraise’’, Gaston in ‘’Camille’’ by Hamilton Forrest with Garden and Charles Hackett, and also Cassio in ‘’Otello’’ with Marshall, Claudia Muzio, and Vanni-Marcoux. In 1932 he sang at Roma Opera the part of Vladimir in ‘’Prince Igor’’. He retired in Paris, where he appears to have evaded the rafle du Vél' d'hiv in July 1942, but was arrested in 1943 and sent to Drancy. He died on a train headed for a concentration camp, presumably Auschwitz, in Poland.